Six key stations along one of the busiest railway lines in the country - Sofia-Bourgas, are to be modernized, announced the Minister of Transport, Information Technology and Communications, Rossen Jeliazkov, who launched the implementation of the project "Reconstruction of Stara Zagora Railway Station" at a total amount of 11 million leva. The funds will be allocated to an entirely new engineering infrastructure, with the corresponding telecommunications, as well as the renovation of the platform and the surrounding area, said the Minister. He added that within the project the station in Nova Zagora will also be modernized. The railway stations of Iskar, Kazichene, Poduyane and Karnobat will be fully renovated. "Infrastructure is being modernized with significant financial resources, part of European solidarity. By now, within the program periods, which have been realized or are in the process of implementation, about 6 billion leva have been invested in infrastructure", Jeliazkov said. The next program period does not envisage less funding, as the aim is to develop fast and eco-friendly transport in Europe - the kind that railway actually is. 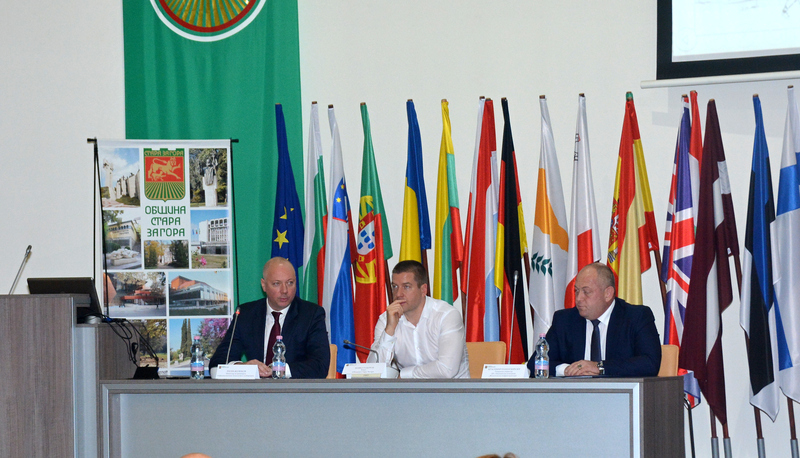 During the presentation of the project, the mayor of Stara Zagora, Zhivko Todorov, noted that the reconstruction of the station in the city is very much needed. "I am delighted that we are in the final stage to renovate this iconic building in Stara Zagora, so that visitors to the city and its residents can make good use of the facility", he added.